This was the first time I ordered from this company. My package arrived on time for Christmas. My dad loves hot stuff so I'm always trying to find something he will love. 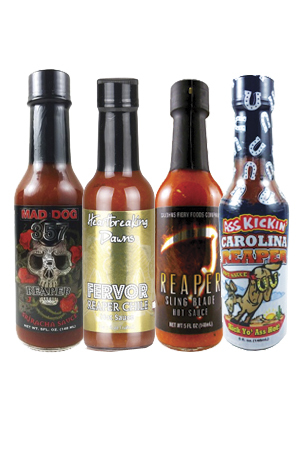 I got him the Caroline Reaper Hot Sauces and the Hot Peanut Set. He loved it! The peanuts have heat and flavor which is hard to find. Good Job! I will definitely be ordering again!